With warm winter temperatures across the nation, our eyes have quickly set to spring. As spring arrives, so will the urge to enjoy your outdoor patio or open backyard. Whether it is for entertaining guests or simply enjoying an evening alone. Whenever you are enjoying your outdoor area, it is important to make sure you and your guests are warm even as the temperatures dip in the night. The Dallas TX propane professionals with Northwest Propane can ensure that your outdoor area is heated, keeping you warm no matter the season. A propane patio heater can ensure that your guests or customers are always kept comfortable, regardless of the outside temperature. An outdoor propane patio heater will allow you to take full advantage of your space, meaning you are never limited by seasons. Our portable heaters are built with commercial-grade stainless steel or decorative cast aluminum. This adds a sleek and sophisticated look to your property while maintaining practicality. Our professional maintenance and service programs ensure your outdoor heating system will never break down. If it does, we can repair it in a timely and efficient manner. To enjoy the outdoors no matter what season it is, a portable patio heater from Northwest Propane is the answer. 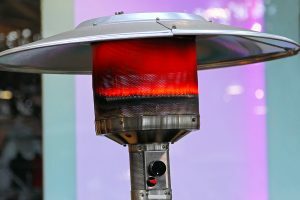 Portable patio heaters will ensure you can make use of your outdoor area no matter the outside temperatures. For additional information regarding our patio heating, give us a call at 972-247-6121 or contact us online today.